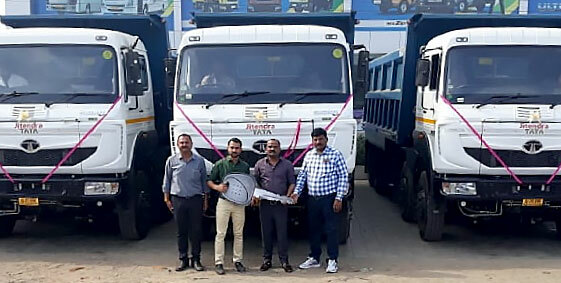 A customer who owns a leading aggregates transportation business in Surat and had an existing fleet of more than 20 vehicles recently purchased 8 more Tata Signa 3718.TK (10x4) trucks to expand his fleet. 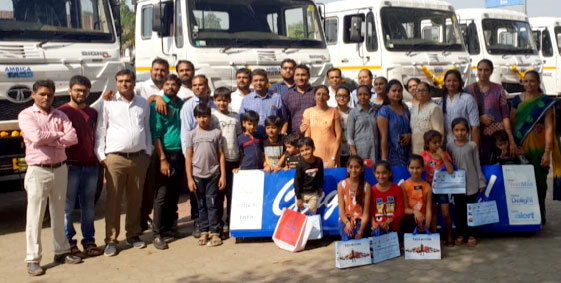 His requirement was a tough performer with great load carrying capacity and the Tata Signa 3718.TK was his best calculated choice as a performer with the additional benefit of value added services provided by Tata Motors. The newly launched Signa 3718.TK (10x4) delivers ultimate performance with carrying heavy loads for regular transportation. 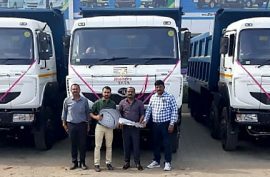 It is a 5-axle tipper that delivers great performance with its ISBe 5.9 180 40 engine that is capable of producing an output of 132.5 Kw while achieving a torque of 700 Nm. The tipper comes with a wheelbase option of 6750 mm and GVW of 37,000 kg. This vehicle is best suited for long hauls to carry aggregates, coal, blue metal for surface movements. 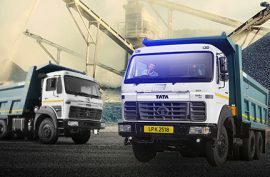 Tata Motors provides fully built options of 24CuM Tipper body in 10x2 as well as 10x4 options. 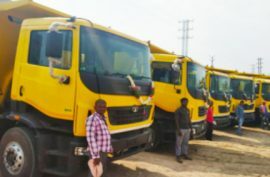 The SIGNA 3718.TK heavy trucks comes in 3 variants: The Signa 3718.TK CR STD SUS 10x2, the Signa 3718.TK CR STD SUS 10x4 and the Signa 3718.TK CR HD SUS 10x4.